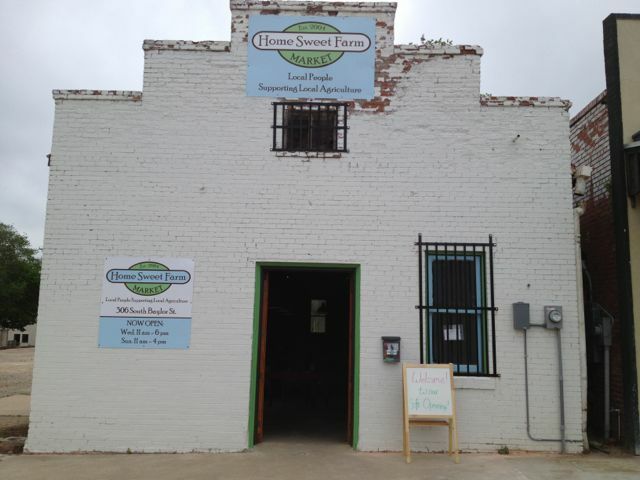 The entrance to Home Sweet Farm Market on Baylor Street in Downtown Brenham. As if I needed another reason to love Brenham! Home Sweet Farm has opened a fantastic fresh market downtown, featuring gorgeous produce and other goods made within 50 miles of here. It’s open on Wednesdays and Sundays. I visited last Sunday (and again today), and was thrilled to see customers streaming in. Last weekend, cool weather crops still prevailed. Sweetest cauliflower I’ve ever tasted. I roasted it and made curried cauliflower soup. 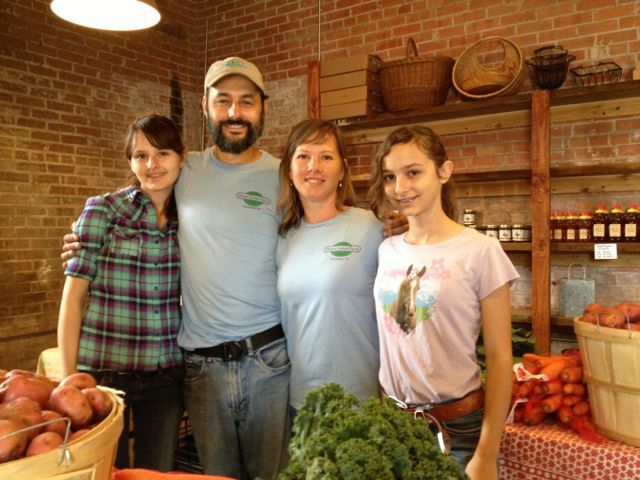 Nine years ago Farmer Brad, as Brad Shufflebeam is widely known, and his wife Jenny founded the Houston area’s first CSA cooperative. They’ve been quite successful, trucking their beautiful bounty 70 miles southeast to Houston. The Shufflebeam family: Corena, Brad, Jenny and Brook. 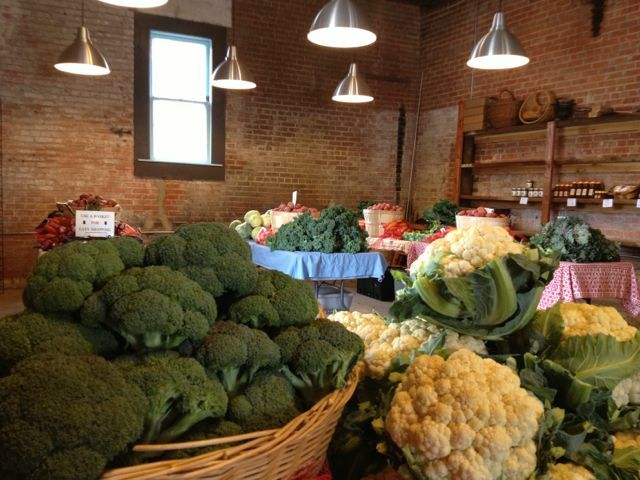 The great irony has been that here in Brenham, about 7 miles from the Shufflebeam’s 22 verdant acres, the only farmers market for years didn’t offer much in the way of fresh fruits and vegetables. It was charming and well-meaning, but unfortunately it disappeared this winter. Word was they were offering too many homemade products – including a lot of home canned goods and pastries – without proper licenses to sell commercially. 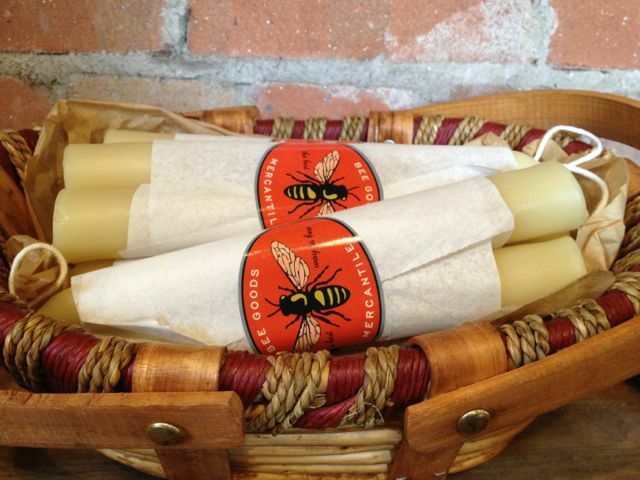 Bee Good, a Navasota-based company, offers beautifully packaged honey as well as these pretty beeswax candles. The market opened April 7 and very quickly its Facebook page had 1,000 likes. I’m hoping this is a sign of things to come. This town has so much potential, and it feels like it’s really starting to gel. Our fridge is full of fresh bounty, including strawberries, beets, carrots, cauliflower, kale, potatoes and broccoli. Tonight I roasted the farm-raised chicken we bought there. Wow. I had almost forgotten that chicken could actually taste like, uh, chicken. Still eating the bounty I brought home. Artisan cheeses are coming soon. 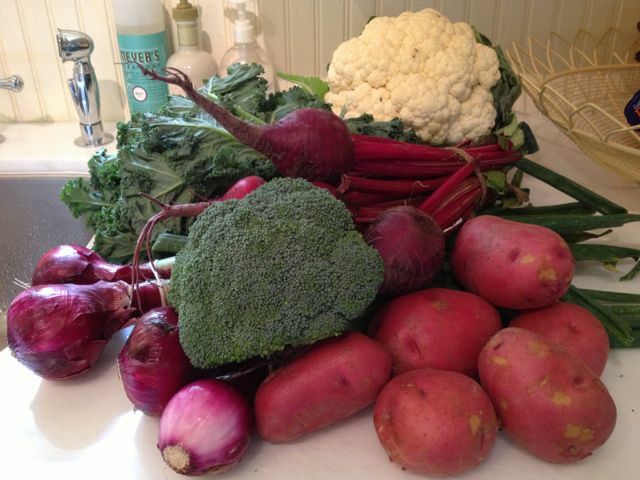 This entry was posted in DIscover Brenham and tagged Home Sweet Farm, vegetables on April 17, 2013 by Molly Glentzer.